You are currently browsing the tag archive for the ‘japanese Yew’ tag. Wisconsin winters can be very hard on your landscaping. Protecting your plants and hardscape now can prevent damage and save time and money in the spring. Here are some simple TIPS to get a step ahead of Mother Nature and those hungry critters. · Deer and Rodent Protection: Build a wire cage around trees and shrubs they prefer, such as Japanese Yews, Burning Bushes and Korean Spicebushes. Secure stakes in the ground around the plant and attach chicken wire or hardware cloth to them. · Winter Burn Protection: Harsh, drying winds and sun scald can increase moisture loss, causing evergreens like Dwarf Alberta Spruce and Boxwood to turn brown and eventually die. 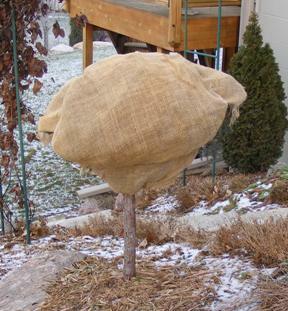 Wrap the evergreens loosely in burlap, or if you rather see them during the winter, spray an anti-desiccant on to help seal in moisture. · Water Your Plants: Make sure your plants have adequate moisture. 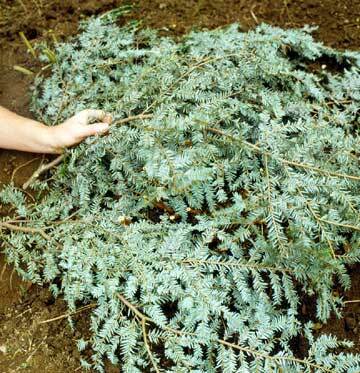 Give evergreens and newly planted trees and shrubs a good drink of water before the ground freezes. When you’re finished, don’t forget to take in the garden hose and turn off the water to prevent water pipes from bursting. · Protect Groundcovers and Tender Perennials: Cover Pachysandra, Vinca, and newly planted perennials with evergreen boughs to help insulate the ground, prevent frost heaving, and protect the plants from drying winds and sunlight. 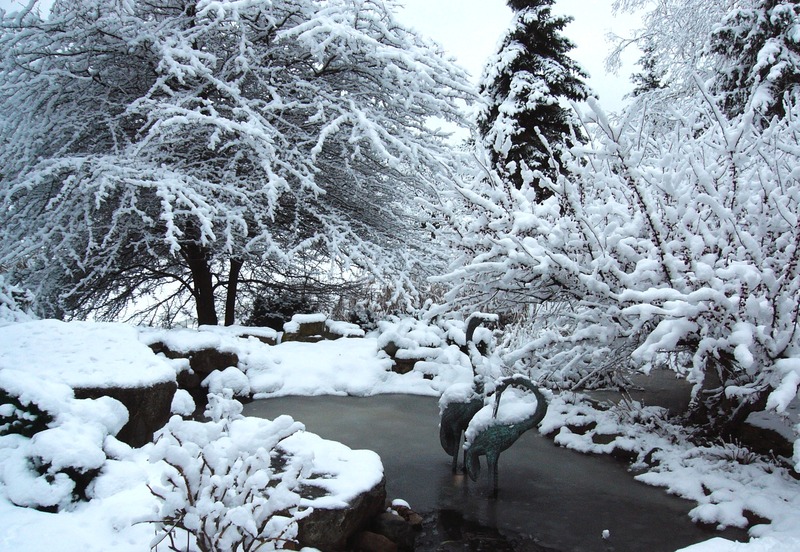 · Protect Plants from Heavy Snow: In general, heavy snows on plants should be left alone. Knocking the snow off can cause more damage to the plants. You may want to tie the top branches of Arborvitaes with a wide strapping to prevent them from bending over from heavy snows. · Apply Safer Ice Melt Products: There are alternative ice melts to rock salt, like Morton’s Safe-T-Plus, that are safer for your plants and paving surfaces, minimizing damage to concrete and joints.